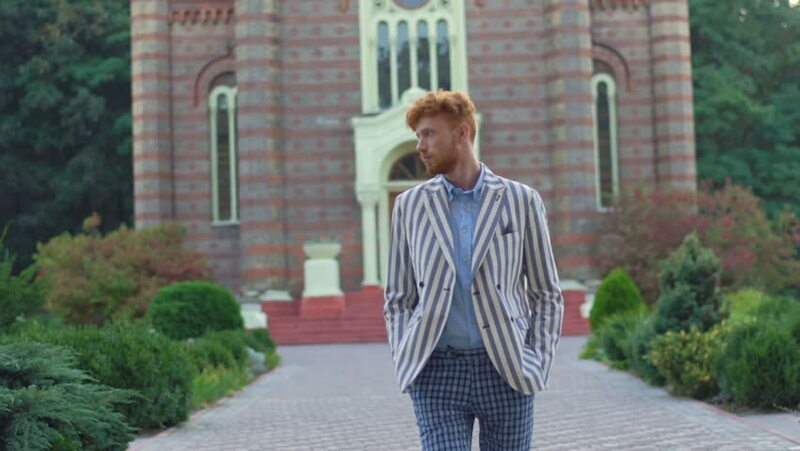 Walking stylish man with beard touching his ginger curly hair at the background of the building. He is wearing striped jacket and trews pants. 4k00:10Medium shot of an old lady in a black hat, sitting on a wooden bench in her garden in the sunshine, knitting a garment.